The Walking Liberty silver half dollar, commonly known as a “Walker”, was issued by the United States Mint from 1916 to 1947. 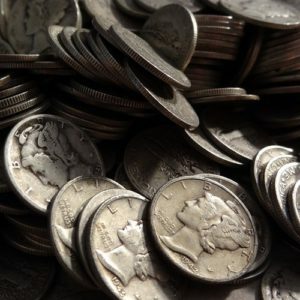 The Walker Silver Half, due to its iconic design, and 90% silver content, remains quite popular today among both coin collectors and bullion investors. As of January 2015, the PCGS price guide lists a complete set of Walkers in MS67 grade at over $1.1 million dollars! The Walking Liberty half is one of the best known and most popular coin designs in history. In fact, since 1986, a modification of Weinman’s obverse design has been used for the American Silver Eagle, the bestselling one ounce pure silver coin in the world. 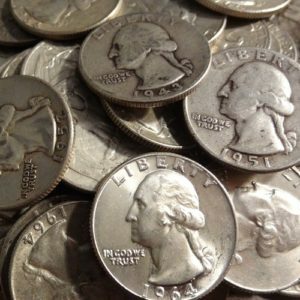 The obverse was inspired by Elsie Kachel Stevens, who also served as the model for Weinman’s fabled Mercury dime design. Walkers were struck at the Philadelphia, Denver and San Francisco Mints. 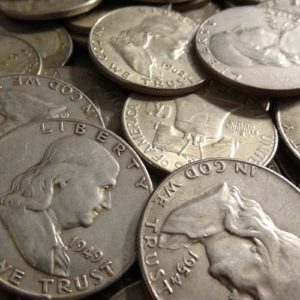 Most coins of the series are available in both circulated and uncirculated condition, although some scarcer issues are rare in gem uncirculated condition. The current PCGS price guide lists the 1919-D in MS66 at a value of $255,000! 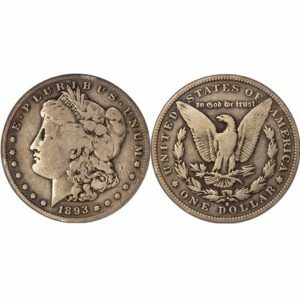 The key dates include 1916-S, 1917-S, 1919-D, 1921 P, D and S and 1938-D. The 1921-S had the lowest mintage of the entire series at only 246,000. 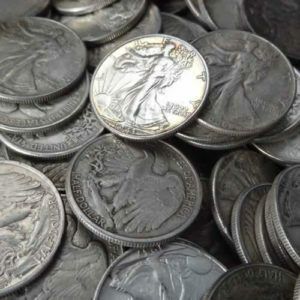 Coins offered here are in “average circulated” condition and are expected to conform to the industry standard of 71.5 troy ounces of silver per $100 in face value (.3575 oz per coin).